San Jose, California Mortgage Rates | JB Mortgage Capital, Inc.
San Jose’s official motto—“The Capital of Silicon Valley”—couldn’t be more accurate. The city, which is home to more than one million individuals and spans over 180 square miles, is the epicenter of the internationally renowned tech-innovation region. World-famous companies like Samsung, Ebay, PayPal, and Adobe are headquartered in San Jose, and naturally, the city is inhabited by a tremendous number of individuals who’re employed in tech-related fields. 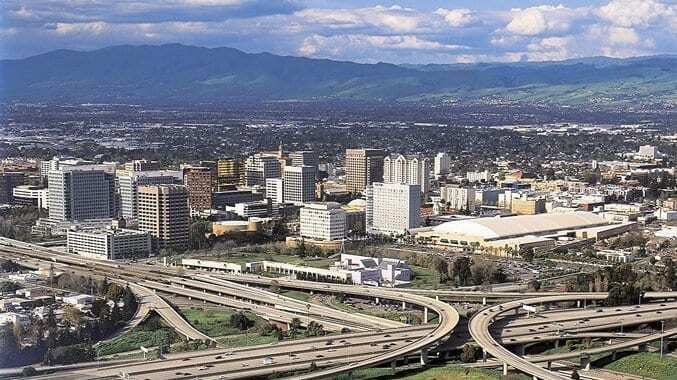 More than being a financial powerhouse and an in-demand real estate site, though, San Jose is a breathtaking, one-in-a-million city that offers all manner of exciting activities, reputable financial services, and excellent educational opportunities. To truly understand just how strong San Jose’s economy has been, is, and looks as though it will be in the future, one must examine “the numbers.” Over 80% of the city’s adult residents have graduated from high school; about fifty percent hold a college degree or are pursuing a college degree. The city’s per-capita income, at almost $38,000, is nearly a third above the national average. Similarly, the city’s median household income—over $90,000—far exceeds the national average of roughly $55,000. While countless cutting-edge companies are headquartered in San Jose, once again, many others, including Facebook, Google, and Apple, maintain a presence in the city. Historically, San Jose’s unemployment rate has been far below the national average. As a result of the comparatively high earnings of San Jose residents and the city’s ample employment opportunities, a plethora of fantastic financial institutions offer top-quality services to clients. Everything from basic checking and savings accounts to retirement advice and loan opportunities can be found in San Jose. Fremont Bank, Bank of the West, Umpqua Bank, Cathay Bank, and Metropolitan Bank, amongst many others, are operated by caring, attentive, and knowledgeable financial professionals. 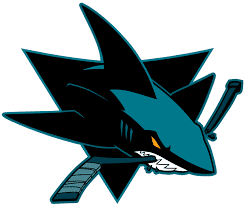 San Jose is also home to several professional sports team like the San Jose Sharks, San Jose Earthquakes and San Jose State Spartans. San Jose California is home to some great family attractions as well. The Municipal Rose Garden, The Tech Museum, The Children’s Discovery Museum and many other great family activities residents, or visitors, can access. It’s also home to some great Theater’s, restaurants and hotels. Two words aptly describe San Jose’s housing market: “in demand.” The city’s modern, state-of-the-art homes and apartments make excellent places to live—and invest—in. The city’s median home value is close to one million dollars, and more than 65% of San Jose homes have sold for over $761,000. Over half of San Jose residents are homeowners, and more than six-tenths of the city’s homes were built after 1970. San Jose’s average home value has appreciated in each year since 1994, except for one year following the dotcom pop and three years following the 2008 recession. Real estate professionals and firms such as EQ1 Real Estate, 1 Team Realtors, and Inferno Real Estate, amongst others, are ready and waiting to help buyers, sellers, and renters receive the answers and assistance they need. It should also be mentioned that San Jose’s home interiors are the envy of individuals in neighboring cities because they’re set-up by some of the world’s greatest interior designers. Feng Shui Style and Symmetry Designs, for instance, are well-reviewed up-and-coming interior design firms that operate out of (and almost exclusively in) San Jose. There’s a lot more to San Jose than ample employment opportunities and a healthy real estate market. To be sure, the city’s activities and sights offer something for everyone to have fun with. The beautiful sights, sounds, and scents of the Municipal Rose Garden will please horticulturists, and parks like the Los Gatos Creek Trail and the Almaden Quicksilver Country Park will thrill outdoor enthusiasts. Those with a zest for learning will adore the Children’s Discovery Museum, The Tech Museum of Innovation, and the San Jose Museum of Art. Last but certainly not least, the City of San Jose holds a number of fun events per year, most of which are free to attend and open to the public. These events are always subject to change, and anyone interested shouldn’t hesitate to visit San Jose’s official website. If you live in the San Jose area and are looking to buy a new home or refinance your current mortgage please give us a call for a no cost – no obligation quote; 1-800-550-5538. We have an A+ rating with the Better Business Bureau, AAA rating with the Business Consumers Alliance, a five star rating with Zillow and a five star rating with Mortgage101. From application to closing you’ll work with one person; not 2, 3 or even 4 people like some mortgage companies. At JB Mortgage Capital, Inc. we do things differently to ensure your closes as promised and on time.